Audiences fall in love with the tight harmonies and dynamic performance of Branson's BEST Quartet, New South! This incredible group entertains with spectacular music, great harmonies, family comedy, and Ozarks hospitality. Mark, Luke, David & Jon sing all of your favorite songs. You'll hear Top 40 Country & Gospel classics, and Rock & Roll hits from the 70's, 80's and 90's. The Grand Jubilee surpasses expectations of any age. Comedy is abundant! Jamie Haage, as Jim Dandy, and Emcee, Mike Patrick, will keep you absolutely doubled over in laughter. Along with the power vocals of Jackie Brown, this show is a bomb with the fuse lite! 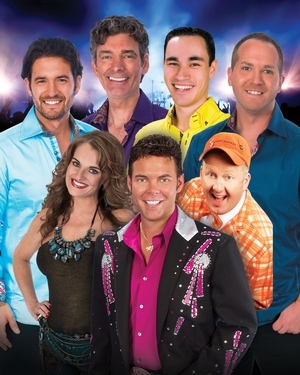 Branson's #1 band, The Rhinestone Mafia is the backbone of the show. Having won "Entertainers of the Year", "Branson's Best Show", "Branson's Best Variety Show", "Quartet of the Year", "Gospel Group of the Year", "Band of the Year", "Comedian of the Year", "Emcee of the Year", "Piano Player of the Year", "Fiddle Player of the Year", "Bass Guitar Player of the Year", "Guitar Player of the Year", "Drummer of the Year", and "Steel Player of the Year", it's not hard to see why Grand Jubilee is the one show that will stay with you long after your vacation is over.